One of the greatest signs that there is a chance of a war is the preparation for a war! Historically, when Western or other nations want to invade, attack or colonize a nation that is less formidable than they are, a military war is preceded by a war of words. Africa, it was said, needed to be invaded and colonized to bring “civilization” to the nations on the continent. But the best reason according to political and hawkish military pundits is to bring about “regime change” or to replace recognized leaders of countries that disagree with modern day invaders, attackers and colonizers! Strategic geographical confines and abundant natural resources place many nations right in the cross hairs of bombs, missiles and weapons of destruction . No one ever bombs a desert, a swamp or a volcano. Only a mistake or a misfire would cause a bomb to hit a gold mine, diamond mine or a rare earth mineral facility. Wars are always good for nothing but enriching defense contractors, arms dealers and thieves. And, I’ve never seen a regime change that didn’t turn out worse than what the status quo was. Iraq, Libya and some other countries were terrorist-free until some political smartass suggested that those countries have a regime change. Former President Barack Obama didn’t start ISIS. ISIS was formed by people that had relatives die and suffer and lost much of what they had when war was raged on Iraq under false pretenses of “weapons of mass destruction” and compliance in the bombing of the World Trade Center. Former Iraq leader Saddam Hussein and the terroristic members of Al Qaeda hated each other but the people that wanted war depicted them as cohorts. People are now calling for regime change in Syria. 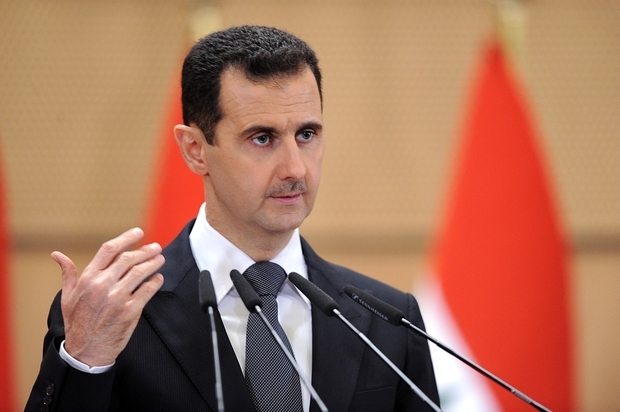 Well, Syria’s leader Bashir Al Assad has been accused of brutally killing his own countrymen. He is accused of using chemical weapons on innocent Syrians. Assad said on day one that his government was fighting against rebels, terrorists and combatants that were being armed and financed in part by US taxpayer dollars. ISIS is in Syria and Al Qaeda is in Syria fighting against the Syrian government but news reports want you to believe every single person that has died in Syria is a woman or a baby or an innocent civilian. You tell me. What would any government do, including yours, if rebels were formed, financed and encouraged by foreigners to topple the existing government? I think they would oppose the rebels and use any tool necessary to squash a rebellion. All countries that have invaded Syria claim to be there to fight terrorists. But their focus now is off the terrorists somewhat and the countries that you love have joined the terrorists to topple the so-called Assad regime. Whatever you believe is going on vet your beliefs by getting information from all sides. Hear a variety of the Syrian people, listen to opposing news sources like Al Jazeera and, if you so desire, trust and rubber stamp the reporters that forwarded to you the lies about weapons of mass destruction in Iraq. The best time to bomb or invade a country is when you want to distract the people and turn their focus from the criminals in their government to the alleged criminals in foreign governments. The devil is tricky! War is inevitable when you see a country making warlike moves and preparing for war!